July « 2009 « Geekorner-Geekulture. 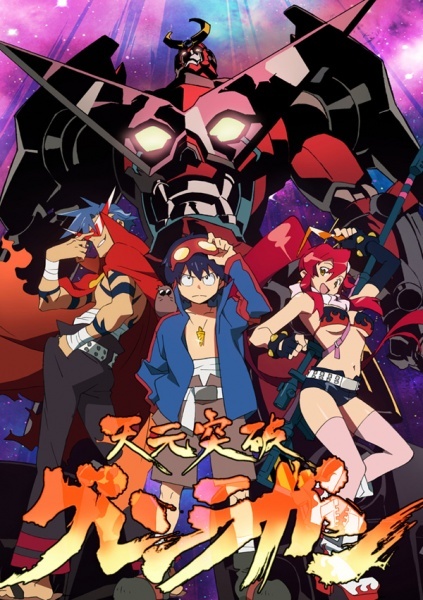 Gurren Lagann, which is actually called “Tengen Toppa Gurren Lagann”, is an embodiment of the shonen genre, in anime form. Shonen series are series aimed at boys, many of them are combat/adventure heavy, series such as Bleach and Naruto. The protagonists are usually teens, who overcome their enemies, and like in Poke’Mon‘s 5th episode (I have one heck of a memory, I know), the protagonist often loses, and then through sheer guts and determination (bloody-cussedness) trains or just comes back and wins. In Naruto Shippuuden, there’s a bit of a ridiculous moment where Team Guy faces their clones, they get kicked, and then win just because they decide to be stronger than they were yesterday… rather than just switch who they’re fighting or try new techniques. It was a serious “WTF? !” moment to me. In Gurren Lagann, there are actually three phases to the series. It begins with the Kamina and Simon’s home community underground, and then quickly goes on war. They wage a war on the beast-men and their mecha who keep them down (both underground and stopping them from reproducing). They fight and fight and fight, and after episode 8 there’s a slight change in the atmosphere, though the fights continue. First “Things I Like” post, a bit late, but it’s going up. And in case it’s not obvious, all such posts may have some spoilers. 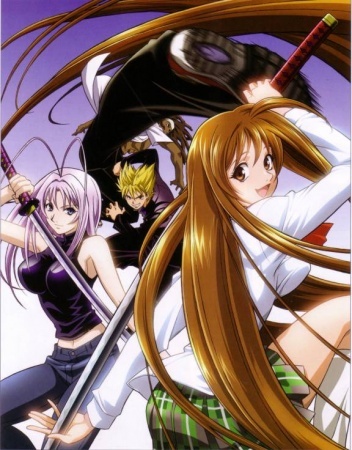 I’ve watched the anime of Tenjou Tenge a couple years back, and am actually a bit surprised seeing it’s from 2004 and some comments, since I remember the art as being generally sub-par to what I consider the modern standard. Enough that I’m going to grab some episodes and re-watch them to see what’s up. I’ll begin cross-posting posts, see the “About” page, when it goes up after this. So, this month’s “Blog every day” theme is to post about things you like. I’m going to do something different, and every couple of days, for as long as I feel like it, post about something I like. Many, especially initially, will be opinions on anime I’ve watched. There’ll be movies, books, games, serieses, you know it goes, right? :) I will try not to go into in-depth reviews/discussions, but I might. I am unlikely to cover what the series is about, cause that’ll be provided by a link to IMDB/Wikipedia/Amazon, etc. and rather share my observations and thoughts. Some posts might just be two lines, who knows? :) And I’m doing better, thanks for asking! Note, cross-posting from elsewhere, but it will allow me to at least link people here.